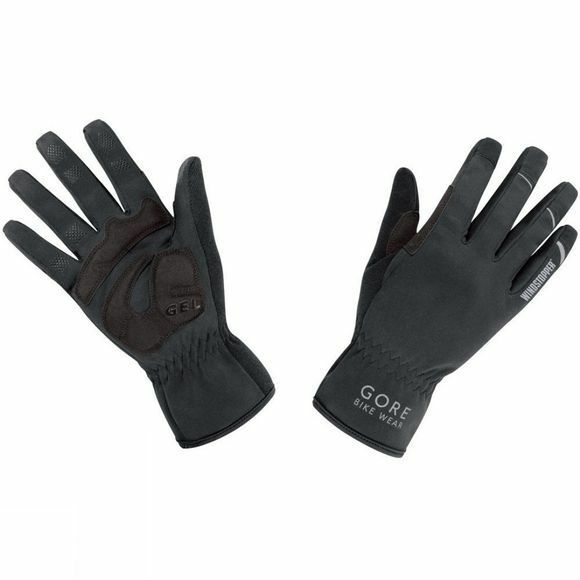 Gore's Universal WINDSTOPPER® gloves are sleek, warm and completely sufficient for most cycling situations. Constructed using WINDSTOPPER® fabric, they offer you and your hands maximum protection against windchill and breathability that allows moisture to escape. Padding on the palm ensures you have a comfortable, yet firm grip on your handlebars.